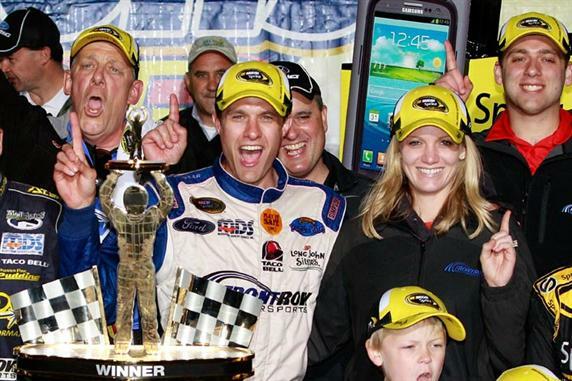 Before Sunday’s race at Talladega, Front Row Motorsports had never experienced victory lane in the Sprint Cup Series. However, Front Row’s two Davids — Ragan and Gilliland — caught fire at the end of the race to score an improbable victory and second place finish. David Ragan, one of the sport’s true good guys, earned his second career Sprint Cup win. Way to go Front Row!